After being diagnosed with breast cancer at age 84, Joyce Faulkner of Little Rock encourages women to continue receiving annual mammograms throughout their lifetime. Oct. 15, 2018 | The year was 1961, and football season was in full swing. With her tickets in hand, University of Arkansas alumna Joyce Faulkner headed to Fayetteville to watch her beloved Razorbacks take the field. But first, she had one stop to make. A resident of Pine Bluff, Faulkner had a physician close to home. However, she was experiencing some medical concerns and wanted a second opinion from her former physician in Fayetteville. After undergoing some tests, Faulkner prepared to leave the doctor’s office when she remembered another concern lingering on her mind: The two lumps in her breasts she found weeks earlier. Although her Pine Bluff doctor previously told Faulkner the lumps were not cause for alarm, she knew something wasn’t quite right. The doctor examined her and then brought in a colleague to do the same. Together, they confirmed she had not two, but three lumps, and told Faulkner to return to her physician in Pine Bluff as soon as possible for a biopsy. Within days, Faulkner underwent the procedure and was told the lumps were benign. However, her doctor recommended removal anyway and scheduled surgery right away. “I went to the hospital and signed an affidavit that if they did indeed find cancer during the surgery, I agreed to have a radical mastectomy. And that’s exactly what happened,” she said. After awakening to find her breast had been removed, she underwent six weeks of radiation therapy. “And that was the end of it,” said Faulkner, now age 84. 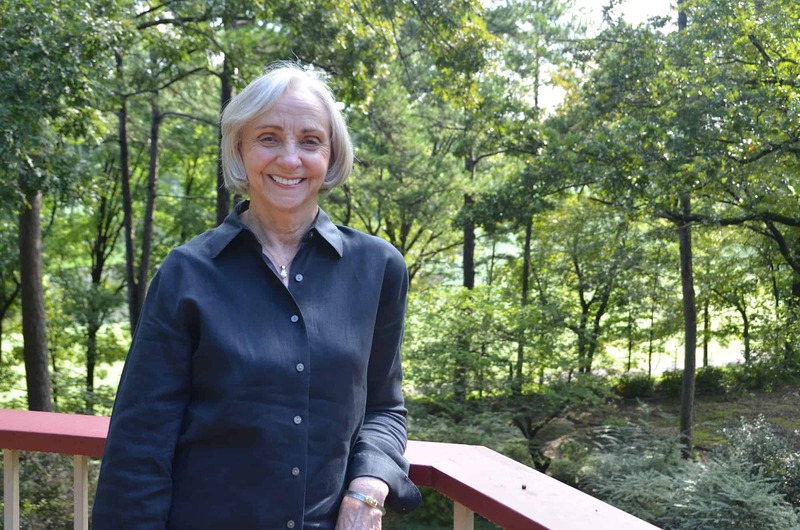 Time passed, and when Faulkner moved to Little Rock, she transferred her health care to UAMS, where she ultimately began undergoing an annual mammogram. “I never had any problems for the next 57 years,” she said. And then came the summer of 2018. Just as she had done in prior years, Faulkner arrived for her annual mammogram at the UAMS Breast Center. After the screening was complete and she was preparing to leave, the center’s director, Gwendolyn Bryant-Smith, M.D., knocked on the dressing room door. “Dr. Bryant-Smith said she read my image and found a very tiny spot that needed to be biopsied. I couldn’t believe it,” Faulkner said. A few days later, Faulkner returned to the center where Bryant-Smith performed a biopsy that revealed a nuclear grade 1 ductal carcinoma in situ (DCIS) in her breast. Cancer grade refers to the tumor’s likelihood to spread and grow. Grade 1 cancers are considered well differentiated, which means they look like normal cells and tend to grow and spread slowly. “Dr. Bryant-Smith was so upbeat and professionally in control of the situation. She made me feel like everything was going to be OK,” Faulkner said. Bryant-Smith serves as chief of breast imaging and is an associate professor in the UAMS College of Medicine Department of Radiology. Faulkner was referred to UAMS breast surgical oncologist Daniela Ochoa, M.D., who operated two weeks later. “Because we found this lesion at an early stage, Mrs. Faulkner was eligible for breast conservation. She underwent a lumpectomy and has done very well,” said Ochoa, assistant professor of surgery in the UAMS College of Medicine Division of Breast Surgical Oncology. When Ochoa gave Faulkner the news that no chemotherapy or radiation would be necessary, she was overjoyed. “Dr. Ochoa came in smiling like it was Christmas. She was as happy as I was that I wasn’t going to need any other treatments,” Faulkner said. Two months post-surgery, Faulkner happily reports experiencing “not even one tiny pain.” And while some of her friends question the need to continue getting mammograms later in life, she uses her diagnosis as an example of why they should never abandon their annual exam. “You never know what could happen,” she said. Ochoa added that screening mammograms are recommended and appropriate even after age 75. “If your life expectancy is 10 or more years, you should continue receiving an annual screening mammogram,” she said. For now, Faulkner is thankful she took a proactive approach to her health and can look forward to the things she loves, like joining her long-time friends for a weekly round of the Chinese tile game Mahjong and hosting her family for Christmas Eve celebrations. “I feel like I’m clear for another 57 years,” she said.